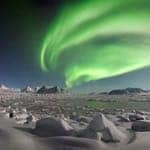 The swirling green lights of the Aurora Borealis are on many travel bucket lists, but the best way to spy these elusive Northern Lights is with an expert-led small group tour – itineraries in Norway, Iceland, Finland and Greenland, plus low single supplements, mean there’s choice galore to see them solo. There’s no other show on Planet Earth quite like the Northern Lights, which dazzle the northern skies each year between late autumn and early spring. 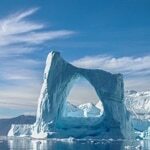 Join one of our short breaks or longer holidays in Norway, Iceland, Finland or Greenland for the best chance to experience this natural phenomenon (and so much more besides). At Regent Holidays, we have created a selection of small group tours with a low single supplement – perfect for solo travellers looking to share their experiences with like-minded people. Our group itineraries are carefully designed to give you a lifetime of amazing memories – and, of course, the best possible chance of witnessing the Aurora Borealis. On our popular five-day Land of the Northern Lights group tour to Iceland, you will spend your days bathing in geothermal pools and exploring volcanic landscapes, before venturing deep into the Icelandic countryside where you have the best chance of seeing the Northern Lights. This tour has weekly departures throughout the winter season, and a low single supplement. With a similarly low single supplement, West Iceland Wonders combines the chance to see the Northern Lights with waterfalls, geothermal pools and time in the famed Golden Circle, where you can discover the Thingvellir National Park. In eastern Greenland, check out this thrilling Dog Sledding Expedition, the ideal choice if you want something more physically challenging or head to Svalbard in the Norwegian Arctic archipelago on our Polar Nights Tour. 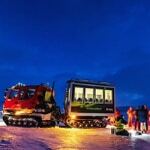 Wildlife enthusiasts love our Images of Vesteralen small group tour with the chance to see not only the Northern Lights but also wild moose, giant sea-birds, whales, seals and sea otters. Our Autumn Auroras tours set off in search of the northern lights, but travel earlier in the season to enjoy Finland’s autumnal scenery whilst avoiding the crowds and Christmas prices. 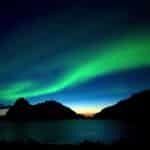 Click here to explore our extensive collection of Northern Lights holidays and short breaks.